But these are not normal times, what everyone used to take for granted is now up for grabs. 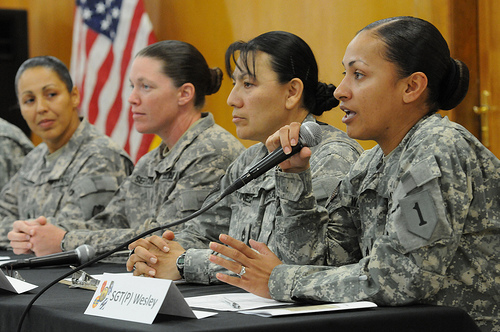 There is a concerted push by liberals who decree in the name of equality that women and men are equal in combat. These same liberals, many of whom will never experience a bullet fired in anger, are rushing to push women into the line of fire. They are demanding that women be thrust into combat, and anyone who dares oppose such a decree is labeled hopelessly sexist. And if the chances of victory be diminished (and soldiers unnecessarily die), so be it!